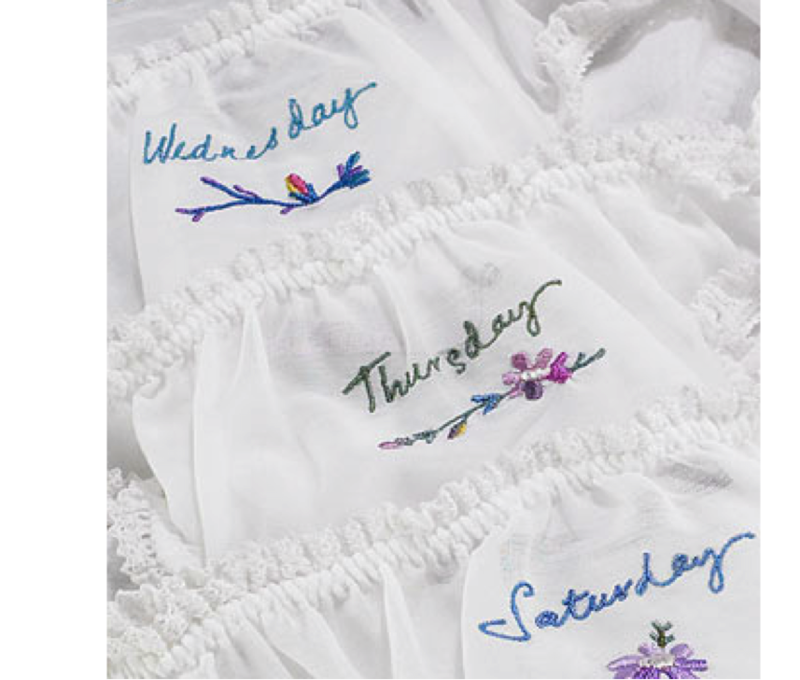 There is definitely something wrong with me, because I was just thinking I totally want ‘days of the week’ underwear. They are genius. If you are confused about the day, you can just check. Isn’t that amazing? The times we live in, it blows my mind. Sally: Well, if you must know, it was because he was very jealous, and I had these days of the week underpants. Harry: Ehhhh! I’m sorry. I need the judge’s ruling on this. “Days of the weeks underpants”? Sally: Yes. They had the days of the week on them, and I thought they were sort of funny. And then one day Sheldon says to me, “You never wear Sunday.” It was all suspicious. Where was Sunday? Where had I left Sunday? And I told him, and he didn’t believe me. Those are Stella Mc Cartney above. $195 for two packs. Whoa. Those are expensive knickers. I’ll send you my address if you want to contribute to my ‘days of the week’ underwear fascination.